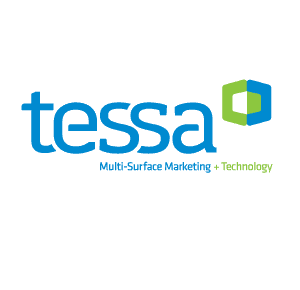 There’s a relatively new Google feature we’re finding some online businesses aren’t taking best advantage of in their SEO campaigns, so we at TESSA Marketing + Technology wanted to take up some of our blog posting space to enlighten digital marketers, CMOs, webmasters, entrepreneurs and marketing directors – all of you who depend on search-generated leads and website conversions for online customers – about it. Go there. Use that. It’ll help your business online. Think of your series of Google Posts as something of a globally visible, rotating business card that’s also part blog, part sales proposition and part social media outreach. That’s a lot of parts for one simple feature. Posts on GMB are like those of an Instagram feed, visually-driven with square images. Posts are also like miniature blogs, with space for up to 300 words and no hashtags or callouts to @ handles. (This is, after all, Google My Business. It’s strictly business.) 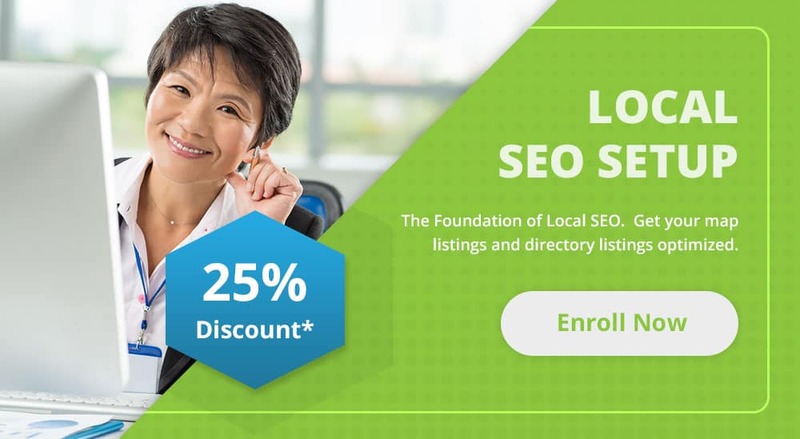 They’re also sort of like advertisements, inviting businesses to post special deals/offers/coupons with immediate calls-to-action, having customers land on your website or call your phone number for that all-important customer conversion. Google Posts are sort of like all those things – but Google Posts aren’t really like any of them at all. What makes Google Posts different from other posts (blogposts, social media posts, webpage posts, even what you “post” in the page metadata) is this: They show up in Google right where your company listing does. When customers search your keywords and find your site ranked nice and high – thanks to the excellent SEO work of the TESSA Marketing + Technology team, of course – what they’ll also see, right there in the Knowledge Panel next to your URL, page title and metadescription, is your latest Google Post, clickable to your entire feed of previous posts. Google Posts are a big boost. An eye-catching image (photo, graphic, logo, gif), no smaller than 250 by 250 pixels, ideally 750 by 750 pixels, that is both distinctive and instructive. A customized call-to-action, such as Call Now, Book Now, Learn More, etc. The CTA captures your customer with a right away with a phone call, email inquiry, purchase order, appointment, reservation or booking – all from a simple Post. The impression left by each Post on GMB should be complementary to all your other online content (social media, blog, website, etc. ), reinforcing your overall brand while also being attractive by itself. 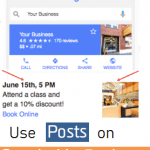 Put together, your company’s Google My Business Posts should cover the span of your company’s marketing communications, including daily specials, appreciation events and new product showcases. 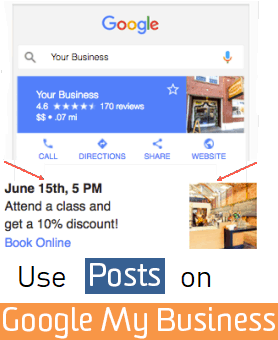 Your business can make a big impression using Google My Business Posts. By making Posts part of your regular online communications outreach, your business is developing and solidifying your brand’s message with customers and prospects alike. On each GMB Post – with its attention-grabbing image, catchy to-the-point message and one-click call-to-action – you’re setting the tone for your company’s overall digital marketing strategy.